Famous landmarks in Madrid include the Royal Palace, Plaza Mayor, Paseo del Prado, Retiro Park, Gran Via and Plaza de Espagna. Other top attractions are the Botanical Gardens, Crystal Palace, Debod Temple, Clock Tower and the Spanish Parliament. Madrid's most famous art gallery is Del Prado. 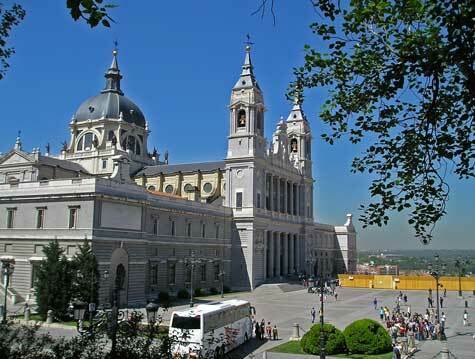 Other top museums include the Archaeology Museum and Thyssen-Bornemisza gallery. Excellent hotel accommodation can be found in Madrid's city centre, near the Barajas Airport and in the city suburbs. Madrid has an efficient 10-line metro system and a large international airport. Two main train stations serve the city centre.